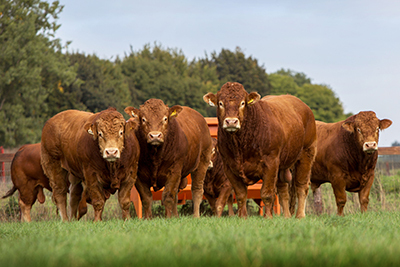 Founded in 2011 the Bassingbourn herd of pedigree Limousins is based at Fordham, Cambridgeshire, and is managed by Daniel Turner alongside the Turner family’s commercial suckler herd and finishing enterprise. The herd is run on a largely commercial basis with the aim being to create an elite herd of naturally fleshing, milky cows. Visitors are always welcome and we often have stock for sale suited to both pedigree and commercial herds.